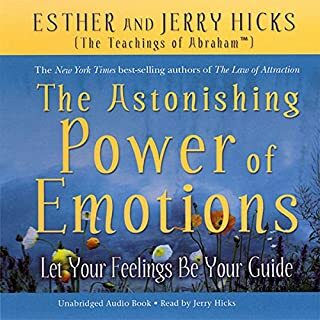 ©2006 Esther Hicks and Jerry Hicks (P)2006 Hay House, Inc. So - I have been doing a lot of reading / listening on this subject and I find it fascinating. However I just couldn't get through this book. I have a really hard time with the accent that is put on when she is claiming to 'channel' Abraham. I find myself constantly questioning why she sounds Russian. Surely a being channeling through her would use her voice and/or speech inflections. I don't get why it changes and it makes it all seem super false. This might have been a better story if I read it instead of listened to it. I think it's great! I don't understand the negatives written about it. So what if the teachings are basic, the format is great and I think that hearing it from Abraham is extra special. And, so what if the teachings were recorded in the 80's, these teachings will not go out-of-date. This is not a book of parables or the Ten Commandments. Although perhaps "out-of-date", I think a lot of people would even be interested in having 70 year old recordings of Edgar Cayce in trance, or even 2000 year old recordings, if possible, of some special people of that time. 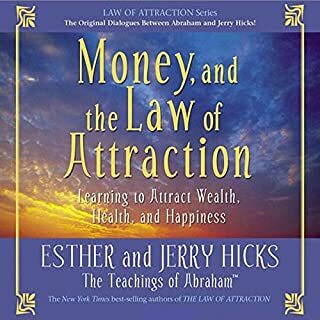 I have studied the Law of Attraction for many years and believe it in. Having listened the the works of Louise Hay, Rhonda Burne and others. 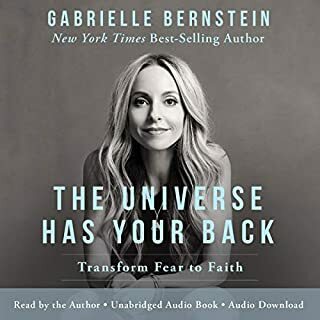 I truly believe you bring positive and negative things to your life driven by your thoughts and hearing different "teachers" takes on this is helpful to find what works for you. 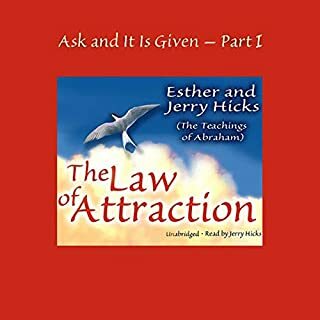 The basic explanation of the Law of Attraction without all the "over production" of The Secret. Oh, I love The Secret but it can be so flashy at times you need to peel that back. THIS is my only "issue" with Esther and Jerry. What they have to say is powerful, it's how they say it. 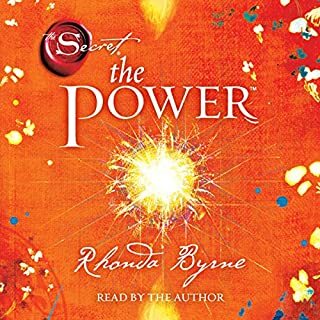 The Secret was VERY polished and designed for a mass audience and it worked to get people to understand the LOA that may not have. However, on the other hand, the Hicks take some getting used to. 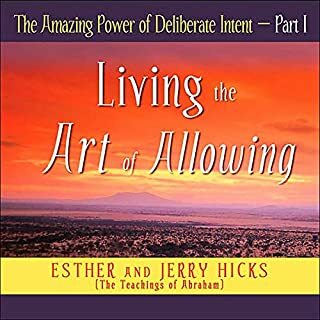 I can't speak for current recordings as I am not there yet but here Esther takes on a accent and starts "yelling" for lack of a better term when she is speaking for Abraham. Jerry sounds like a radio announcer who is interviewing a subject but it not connected to the material. 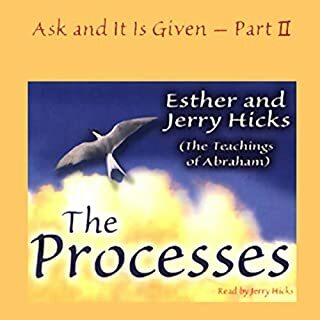 I really feel if Esther spoke has herself and simply relayed to us what she felt Abraham had shared with her it would be easier to consume the information. Jerry relaxing a bit and having a conversation where he also shared his thoughts would be nice. I believe but the "presentation" of a intelligent woman suddenly changing her voice can be jarring until you adjust. This book makes things that have happen in my life so clear! These things work. Talk about powerfully changing your life! 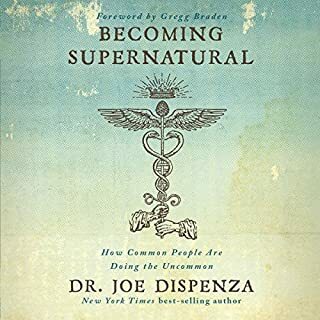 This is a must have book if you want many things explained in your life that have been right. You also can begin to see why things aren't going the way you planned. I definitely give it a thumbs up. 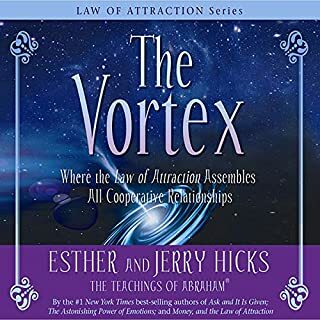 I find that along with the Seth Books by Jane Roberts this is the most valuable and inspiring information on the nature of reality ever. 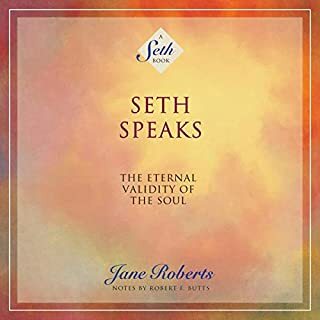 Where the Seth Books put the emphasis more on exploring and explaining every little detail of how the nature of personal reality is formed, this book concentrates on the practical appliance of this extremely powerful knowledge. 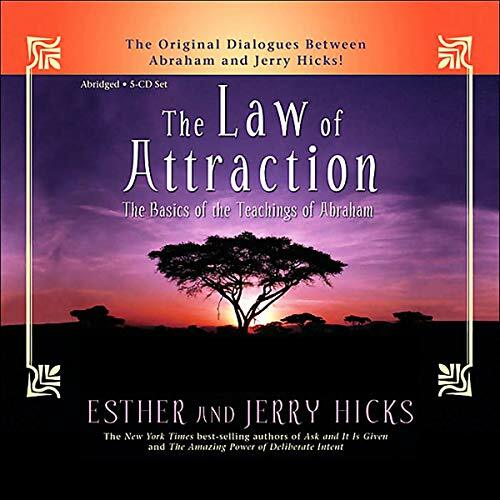 I've had tremendously good results in many aspects of my life after applying the laws as descibed in the book. I really recommend this from my heart. Within weeks of practicing these techniques my life has been changing in miraculous ways. Things that are way beyond coincidence have now occurred and they directly relate to the things I have been focused on. You don't have to believe if you don't want to, but I promise you as "out there" as this all sounds, I guarantee it works. My wife is absolutely awestruck as to the success we have seen in only a few short weeks of getting serious about these techniques! 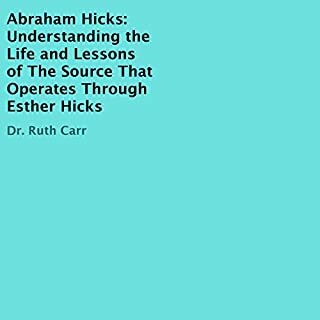 I first heard about Esther Hicks & Abraham when viewing "THE SECRET" on DVD. 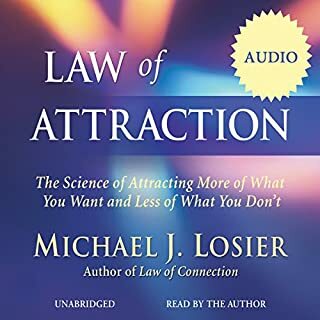 I then went searching for any material on the Laws of Attraction. These recordings were absolutely awesome. It's split into three different recordings... all of which are on point. 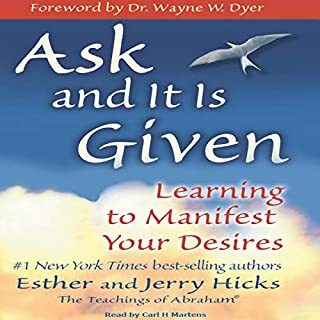 It is definitely something to listen to over and over again, as it's not a simple solution, but an instruction manual for attracting the right energy by intention and with the right emotions. I've listened to this twice fully, other sections at different times, and will listen again next weekend. 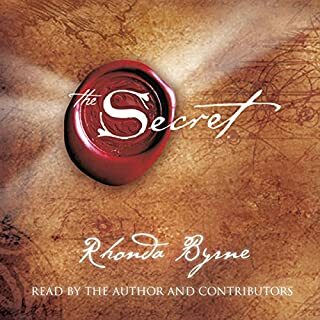 This book has changed my life. The message resonates at the deepest level. 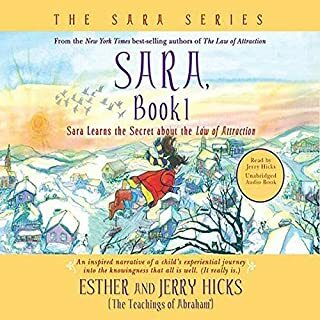 I am a long-time listener and follower of the Abraham-Hicks materials. It is always wonderful and it works at multiple levels. I am not certain of the reason for this publication. It is more a compilation of many talks from over the years (back to the beginnings) and if you have heard these talks and have been 'practicing' the philosophy for years - this is unnecessary and a bit off-putting. 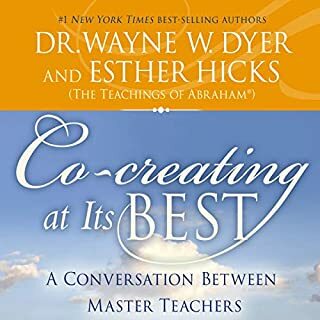 I am happy to have as much of this material as possible - but I find that 'new' teachings are more powerful and a compilation of talks from as far back as the late 80's is really not stepping forward. Is this for beginners? Probably. If you are a long-time listener, head to the source and subscribe to the monthly or weekly program instead. This is a rehash and I question its appearance now. I also have to comment on the different voices of Abraham - the continuity is troublesome. It is not a 'book' per se, but a topical compilation. 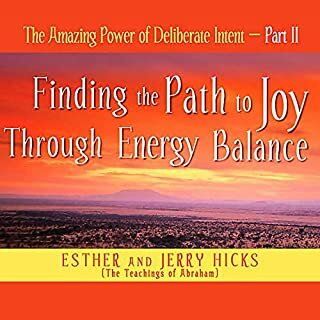 I love Esther, Jerry and Abraham. This is a must listen. This one I will listen to over and over. I used the info in this book to manifest my beautiful front porch on my gorgeous new house!! 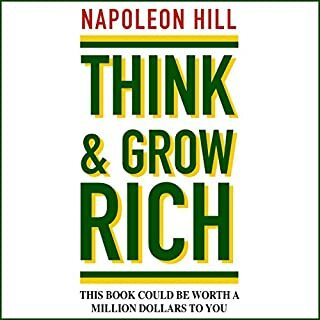 It is a great book of teaching us how to create our own lifes !